The Hazard County Skatepark once again played host to Damn Am Atlanta on Saturday for the first stop of the Damn Am series and Floridian ripper Jereme Knibbs held it down to take home first place. Roll the clip to see how he made it happen and drop by the Skatepark of Tampa site for more info and results. There were over 200 Ams who traveled from all over the world to skate Tampa Am this weekend. It was France’s Aurelien Giraud at the top of the list when it was all over on Sunday. The win earned him the Monster Energy Golden Ticket to the 2016 SLS Pro Open. You can view a broader video recap from Transworld by clicking here. Check SPoTTampa.com for full results and follow @SPoTTampa. 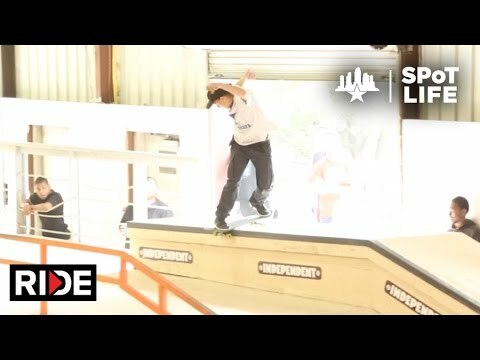 All eyes may be on the Tampa Pro this weekend but earlier this week Bones Bearings posted a montage from 2014’s Tampa Am contest. Which of these guys will be making the transition from the December event to the March event? Keep tuned. After the qualifiers and semi-final jams of TheBoardr Am in Tampa Bay were completed yesterday Marcos Montoya looked to be the name to beat. Once the format switched to runs for the Finals, Jamie Foy did just that. Jamie joins the Los Angeles winner Jon Cos and Houston’s champ Jagger Eaton at The Boardr Am Series Finals at X Games in Austin. Look for a full recap on XGames.com and TheBoardr soon. 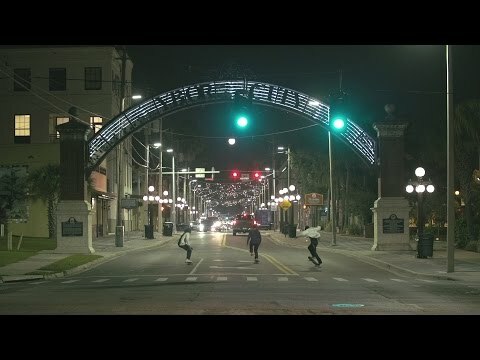 Former SPoT filmer, Joe Pelham put together this video submission for the “Love Thy Neighborhood” art show which features Uncle Sam Bellipanni, Derick Wynn, Jereme Knibbs, and Eric McKenney skating around Ybor and Downtown Tampa at night. Check it out.